valluvanad was one of the early administrative divisions of the Chera kingdom.It once stretched from the Arabian sea to the attapadi hills and from nila up to melattur.The area passed through various hands including Samuthiri and Tippu sultan,intermingled with years of self-rule. Under the British most of the region came under valluvanad taluk of Madras state.Post independence and with the subsequent creation of the Malappuram district the region was split up among the Palakkad,Malappuram and Thrissur districts. 1 The immense size of palakkad district.To get to palakkad one has to travel nearly 70km from the western most parts of the Pattambi taluk. 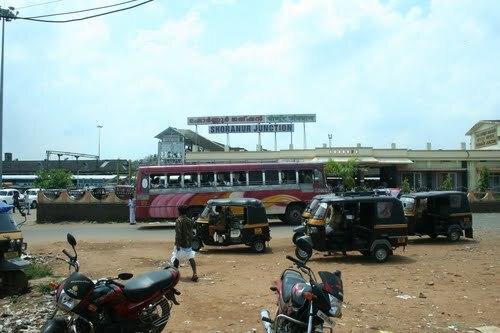 2 Malappuram district is the most populated one in the state with 4 million people residing there. 3 cultural similarity of Ottapalam,Pattambi,Perinthalmanna and Mannarkkad taluks and their differences with the rest of palakkad district. 4 The old ottapalam taluk in itself had a population higher than wayanad district,and the interesting fact is that nearly 40% of palakkad district resides there . But this region is far away from the district hq and most of the people depend on Thrissur , which is nearer. The district headquarters could be either at Perinthalmanna or Ottapalam .Though Ottapalam has better infrastructure including a kendriya vidyalaya ,central government institutions and a railway station Perinthalmanna eclipses it by its sheer size. The mannarkkad taluk must be partitioned so that attapady region remains with the palakkad district and the subsequent creation of an attapadi taluk, could bring development to the tribal region.The border regions of Thalapally taluk like Thiruvilluwamala and Cheruthuruthy due to their cultural affliction to the adjacent areas of Valluvanad. The bifurcation of Malappuram and Palakkad districts is the only way forward as malappuram’s population explodes and palakkad remains far away from its more populous areas. it was one of the largest towns in kerala during the British times,a railway terminus that connected Malabar with travancore and kochi ,the “MANCHESTER” of kerala .now, 60 years after independence, half a century from its hay days what we see is a town trapped in the aura of another age.near by places which were villages when it was a town have now grown into towns and it have become a village.the growth of this town never took off in the post liberalization era ,at the same time the industrial sector declined . what remained of its past glory was the railway station which went into decline with the establishment of the line bye passing the station. the thing i like about this valluvanadan town is its laid back nature,it is never crowded like PATTAMBI or OTTAPALAM . the NILA now a stream still have its beauty.standing over the old KOCHI BRIDGE on a November or December evening seeing the sunset makes you yearn for the times when time flowed at a slower pace.the old kochi bridge (now closed) is far from architectural wonder but blends with beauty of the scene.the pump house with its rustic feel and the trees swaying in the wind makes the view more pleasurable. down the road is the RAILWAY BRIDGE which provides you a glance into the past glory when the steel highways meant more for the place.the railway station which got a face lift recently still have the architectural touches of the RAJ,its tiled roofs have stood the test of time .on the other side of the tracks is the old railway maintenance shed.it used to be the workshop for steam engines and was the main employer in these parts.a few meters south east from there is the old railway platform which was in use when shornur was cherumannur. the main town markedly lack any modern buildings which have come to define valluvanadan towns of 21st century. two storied tilled shops which are a rarity these days fill up the town.the bus stand one of the first of its kind in the region stands tall at the heart of the town.the shornur sbi building is another important land mark.st Theressa’s convent school one of the prestigious in the region is again like the rest of the town,reminder of the past.the MAYILVAHANAM workshops for green,red buses line the road towards the north of the city.most of the old buses with their rusted body tells the tale when they were the only mode of valluvanadan transport. shornur will be the only town in kerala where forest cover is so visible.whether it be near the METAL INDUSTRIES or the polytechnic. KULAPPULY may be called the new shornur as it has slowly transformed itself from a bus stop on way to shornur into a small town in its own terms.the new bus stand ,built with high expectations never delivered. (you still have to run behind palakkad buses in rains).i don’t like the new buildings coming up there which eclipse the beauty of the place.it seems kulappuly is slowly transforming itself into its brother up north-cherpulassery whose general plan makes no sense. a drive on the state highway whether onto the palakkad side or the pattambi side is scenic especially near the sanjeevani hospital. shornur can be made into a tourist attraction mainly for domestic tourists who would like to get the feel of their childhood days.